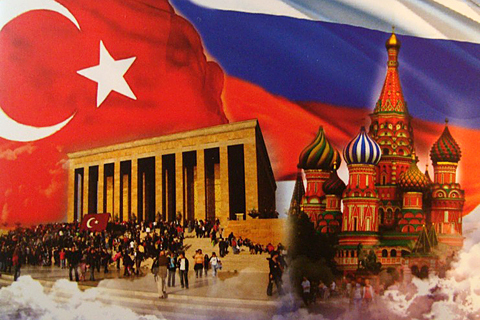 Another acute angle of bilateral economic relations in the foreseeable term will still be Russian exports to Turkey. The fact is that only large domestic companies are capable of getting established in the Turkish market, particularly in the energy sphere, whilst small and medium-sized businesses often miss out. The main problem lies in the fact that the Russian state lobbies only for the interests of the “heavyweight”, in anticipation of massive revenues from their activity. To ensure substantially enhanced trade figures, the Russian side needs to develop a long-term export strategy oriented at the Turkish market. Ankara has this type of strategy, which is its significant advantage as, with the help of this state programme, it is possible to increase returns from mutual trade many-fold. 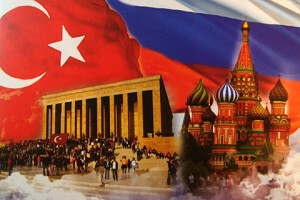 As long as Russia bets only on large-scale projects with the Turkish side and waits for the return of its large investments, forgetting about the small and medium-sized (for example, contractors or subcontractors) firms which could prove their worth in the Turkish market, there will be no fully-fledged result of the mutual ties. This is because bilateral or multilateral commodity transactions may well be left unrealised since they directly depend on the political situation which can change rapidly. In turn, small and medium-sized entrepreneurship is not so much dependent on the foreign policy situation since it has primarily private capital, but it would certainly welcome some support from the state. The declared strategic partnership between the two countries will actually get even stronger if the parties take into account the existing problems and try to offset them. It seems that, in spite of the signed programme for joint cooperation up to the year 2015, the actual Russian participation in the Turkish market is unlikely to be expanded at the expense of supplies of alternatives to hydrocarbons. This, obviously, does not have the best impact on the variety and diversification of foreign economic proposals. In turn, the Turkish side will try to squeeze the maximum out of this document in order to create a good basis for the successful implementation of its long-term export strategy in the Russian vector, which is a priority for Ankara. Turkey will, most likely, continue to pursue a balanced foreign policy which will be closely intertwined with its pragmatic economic interests. It is necessary for the Russian side to take this into account, particularly in matters of vital importance for its own development. It would not be excessive to monitor closely how the tone of various statements changes, as well as Turkey’s behaviour on the international and regional track in order to try to predict its possible steps regarding Russia. The economic cooperation between the two states can be described, in general, as effective and mutually beneficial and, in some cases, strategically important as well. It is about energy relations, which are the backbone of the bilateral partnership. New areas of economic cooperation have quite clearly emerged – they have not yet received practical implementation though – not only in regard to mutual trade, but also in the investment field. This was in many ways facilitated by Turkey’s long-term state programme for the serious enhancement of exports, which assigns a major role to the Russian market. It should be expected that there will be a dramatic increase in Russian investments in the Turkish economy after the implementation of major investment projects in the Turkish territory begins. Moscow will, most likely, continue to be for Ankara both the energy vis-à-vis and a trading partner, but, in political and economic upheavals, the balance of these roles may change in one direction or the other.